I've spent the past few weeks re-working an older RTCW map I made (over 5 years ago). 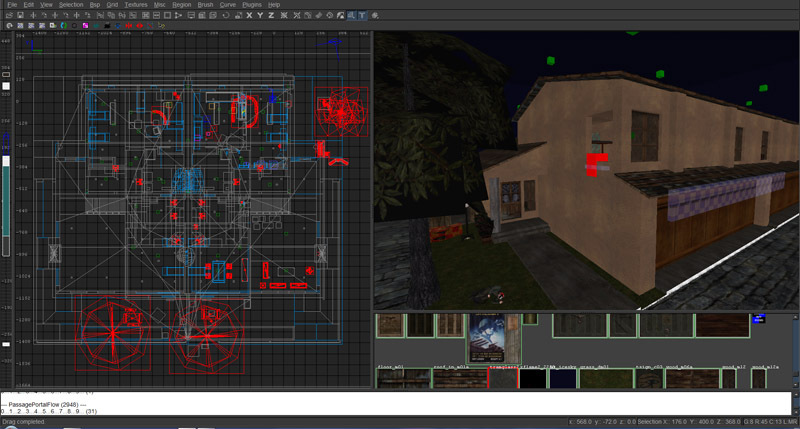 The map, allied_home is a close replica to a neighborhood I grew up in. It was in a dire state; the construction/optimization was poor, lighting terrible, and the objectives were without focus. It's been a lot of fun addressing these issues. The plan is to wrap up Allied Home once and for all, update my mapping reel, and run it on my omni-bot server (currently offline).